John Hardy's Naga collection gives you something a little simple, yet very elegant. 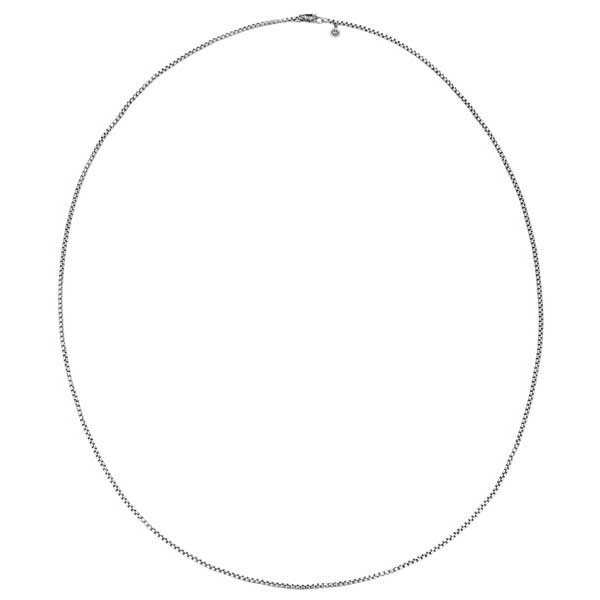 Gorgeous sterling silver is forged into small box links that make up this sleek 22" necklace with a Naga lobster clasp. This John Hardy necklace can be worn alone, or you can add any John Hardy charm or enhancer to elevate its look beautifully.